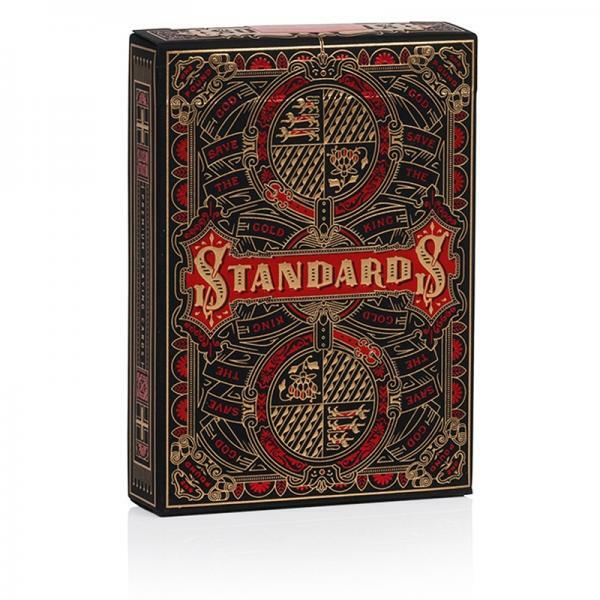 Inspired by nineteenth-century British opulence, an era of elegance unsurpassed, Standards premium playing cards redefine luxury at the card table. Produced by Art of Play in collaboration with Kevin Cantrell Studio and crafted with meticulous attention to detail. Printed by The United States Playing Card Co. on proprietary crushed-stock preferred by professionals. Hand-assembled in San Diego, CA.